Build a car from the ground up, adhere to a manual filled with exacting technical specifications, put the vehicle through a series of grueling road tests and present a business plan for putting the car into production (hypothetically). 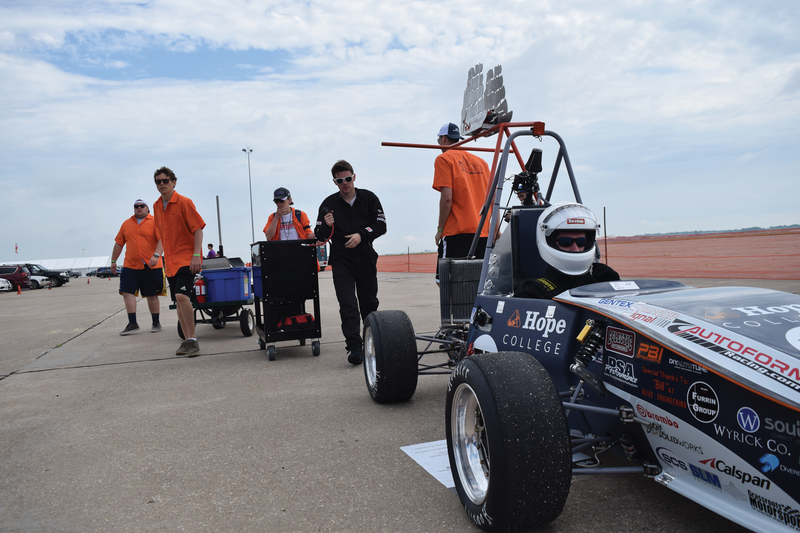 The international Formula SAE Lincoln 2018 competition in Nebraska hosted 80 entries from throughout the United States, as well as from Brazil, Canada, India, Japan and Mexico, predominantly from technical schools and large universities. The multidisciplinary team from Hope was the only one from a liberal arts college, one of only 23 to finish all of the events and placed 11th overall. “This is like sending one of our athletic teams to a Division 1 finals,” said adviser Carl Heideman ’88.